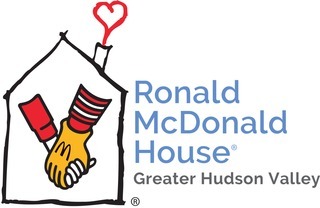 A fundraising campaign for Ronald McDonald House Greater Hudson Valley. When a child is sick, it affects the entire family. For the Burrell family, it all happened so quickly. A hole was discovered in baby Piper’s heart, and she needed urgent surgery to close it. This holiday season, please consider making a donation, any amount (whether $5 or $500), and be a hero to families like the Burrells during an incredibly difficult time in their life. After Piper's Diagnosis, “Everything was disrupted. Routines, all the things you take for granted, that keep you grounded were no more,” explains mom Lindsay. Lindsay was able to get a room at the House just down the street from the hospital, so that she didn’t have to travel to her family’s home and leave Piper to prepare for surgery without her mother by her side. Lindsay reflects, “When families are split apart, especially during tough times, it weighs on everybody, both mentally and physically. Along with getting to be close to her family in a time of need, Lindsay sees the value in being near other families going through similar situations. She explains, “What’s a gift, too, is to be able to connect with other families going through the same thing. It’s so precious and something that we cherish about the House. The Burrells are deeply grateful for people like you, who understand the importance of family and what a gift it is to be able to stay together.